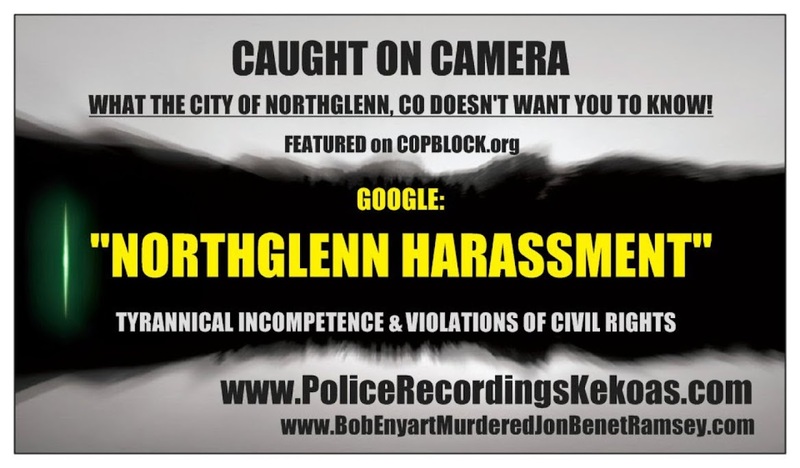 POLICE RECORDINGS with the KEKOAS: COP BLOCK UPDATE #2: CAUGHT ON CAMERA—A History of Harassment, Intimidation & FALSE PROTECTION ORDERS by Adams County Sheriff Against Innocent Colorado Family—Google" NORTHGLENN HARASSMENT"
NORTHGLENN, CO — Earlier this year in September and October of 2015, COPBLOCK.org featured this story about the Kekoa family, parents of six who were harassed and intimidated by uniformed government police employees from the city of Northglenn, CO all because the next door neighbor was being “ignored” and did not like the fact that she was being “shut-out” by the Kekoas. 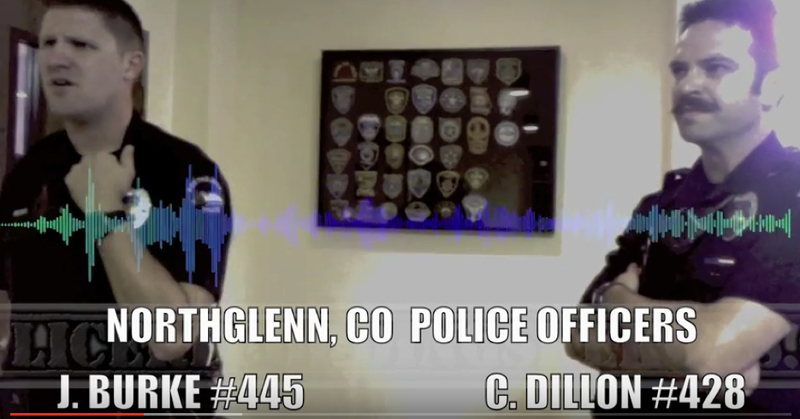 The aggressive tactics of Northglenn’s “Professional Mediation Task Force” resulted in Curtis and Danielle Kekoa being terrorized and forced out of their home into a confrontation with four uniformed police employees for over 45 minutes. 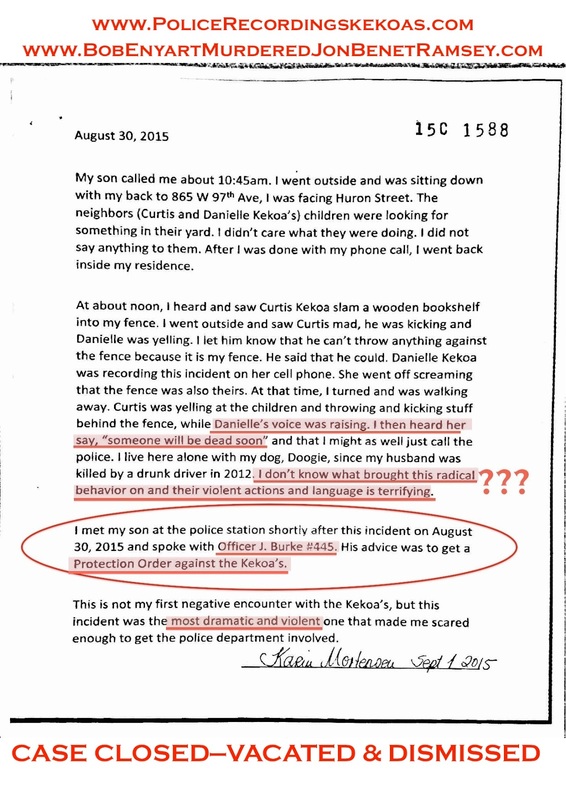 Throughout the confrontation, the Kekoas expressed dozens of times that they have been harassed by the neighbor for years and they “just want to be left alone.” At the end of the lengthy disturbance, the four Northglenn officers agreed to tell the neighbor to leave the Kekoa family alone, encourage her to build a privacy fence and to mind her own business. 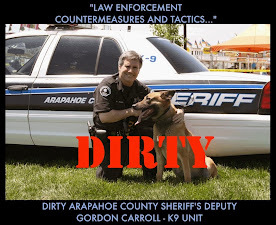 As if the tyrannical incompetence and violations of civil rights on behalf of a busy-body neighbor wasn’t bad enough by the city of Northglenn, exactly two weeks after the disturbance in front of the Kekoas’ home, the Adams County Sheriff was sent over “again and again” to serve Curtis and Danielle Kekoa with false protection orders on behalf of the neighbor. 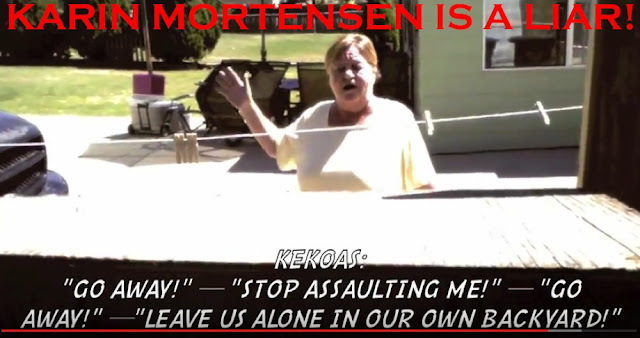 First the next door neighbor, Karin Mortensen calls the police on the Kekoas because she is being “ignored,” then within two weeks Karin Mortensen is falsely claiming “abuse of the elderly” and “physical threat/violence” in front of an Adams County Judge after conspiring with Officer J. Burke #445 Northglenn Police. Judge Stephen Robert Fatzinger signed off and issued the temporary protection orders against the Kekoas without having any proof or evidence of a direct threat or specific act of violence. 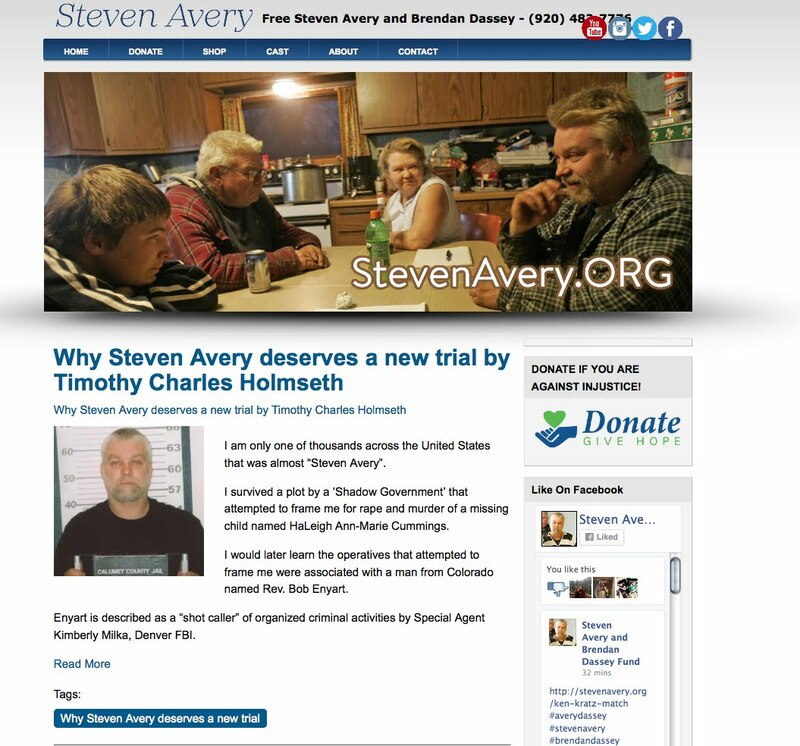 Instead, false accusations were once again filed against the Kekoa family as the ongoing history of harassment and intimidation by law enforcement continues. 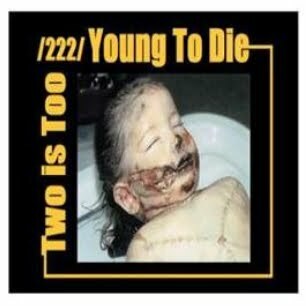 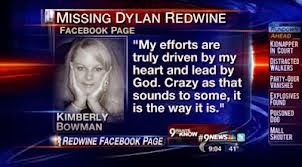 To this date, the Northglenn police have not investigated the facts of the matter. 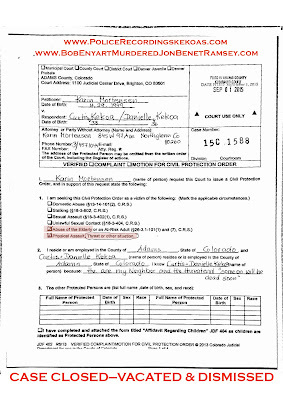 The Kekoas are always presumed to be GUILTY and are forced to prove their innocence. 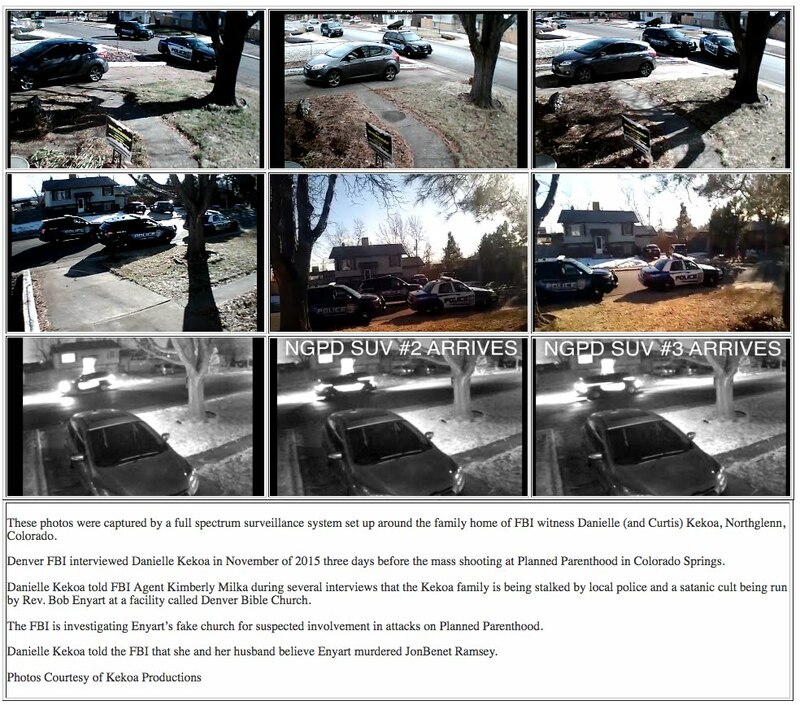 Also CAUGHT ON CAMERA is video of Northglenn Police Officer J. Burke #445 admitting to conspiring with the neighbor to have false protection orders placed against the Kekoas without seeing any “proof” or “evidence” or doing an investigation. 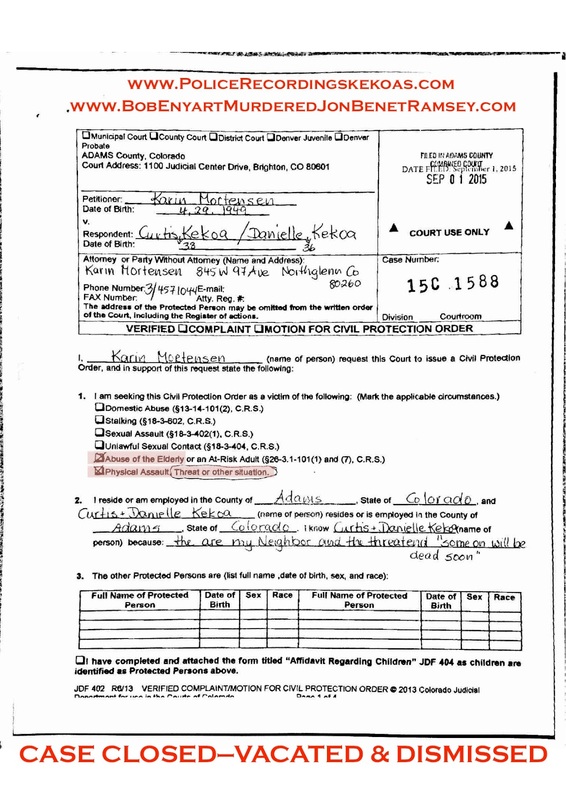 Find out exactly what happened between Danielle Kekoa and Karin Mortensen and judge for yourself to see if it qualifies as “elderly abuse” and decide who the real criminal is. 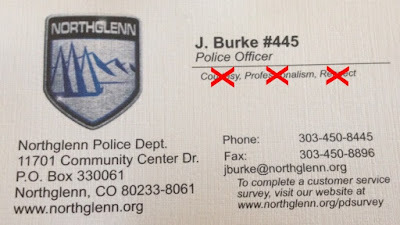 According to Northglenn, CO city Councilmember, Gene Wieneke Ward IV, the code officers “should have been arrested” for their unlawful and aggressive contact with the Kekoas, yet to this day, nothing has been done to make the situation better, even though there were no code-violations, no crimes, no probable cause and no warrant to justify such actions. 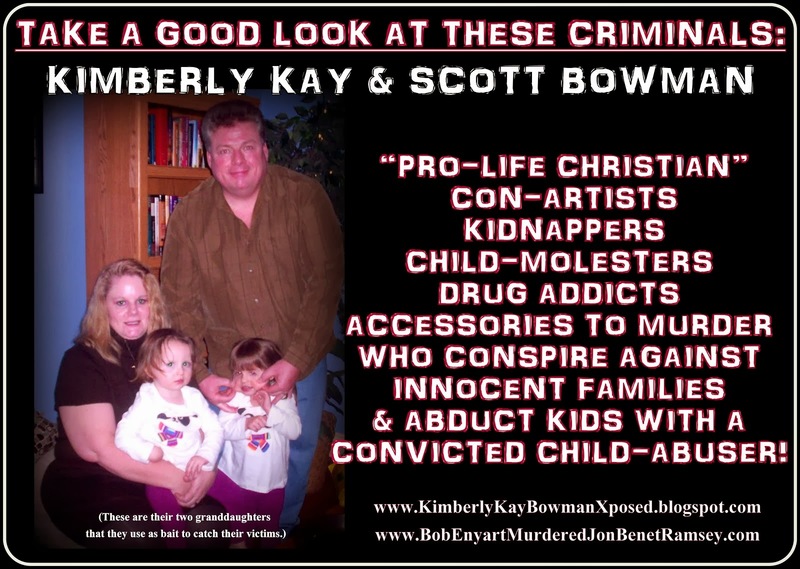 Curtis and Danielle Kekoa, along with their six children have only found themselves under more unjustified attacks by the government. 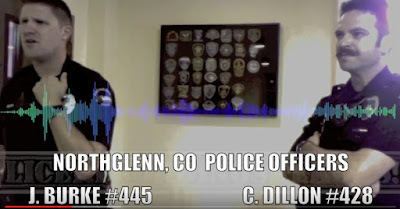 — THURSDAY, AUGUST 27, 2015—Danielle Kekoa talks to Officer Tom Carlson on the phone to express concerns about the harassment and intimidation by the neighbor and the city of Northglenn. 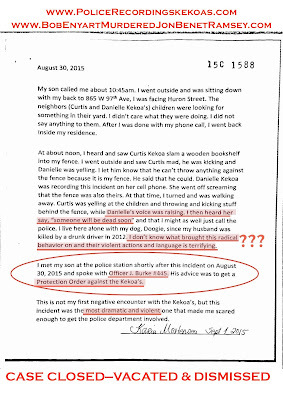 — SUNDAY, AUGUST 30, 2015 at 12:03pm—Ten days after the unlawful disturbance, Curtis and Danielle Kekoa are harassed and assaulted by the neighbor, Karin Mortensen in their own backyard, once again as it has happened countless other times before. 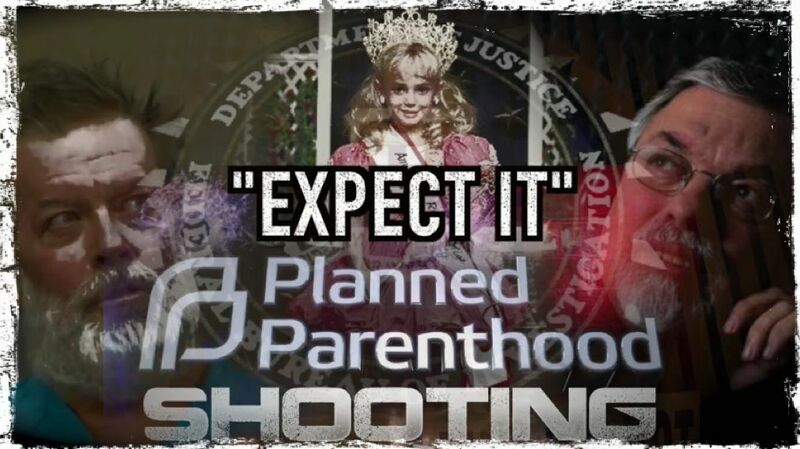 This time the entire event is caught on camera. 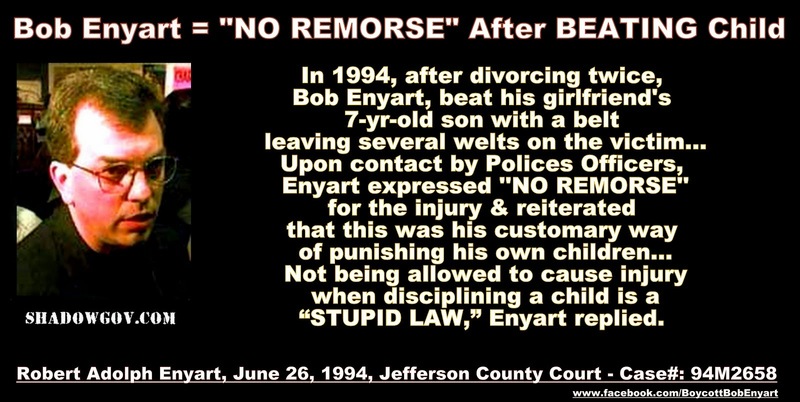 Later the same day, Karin Mortensen goes into the Northglenn Police station to file a false complaint with Officer J. Burke #445 who then advises her to obtain false protection orders against the Kekoas. 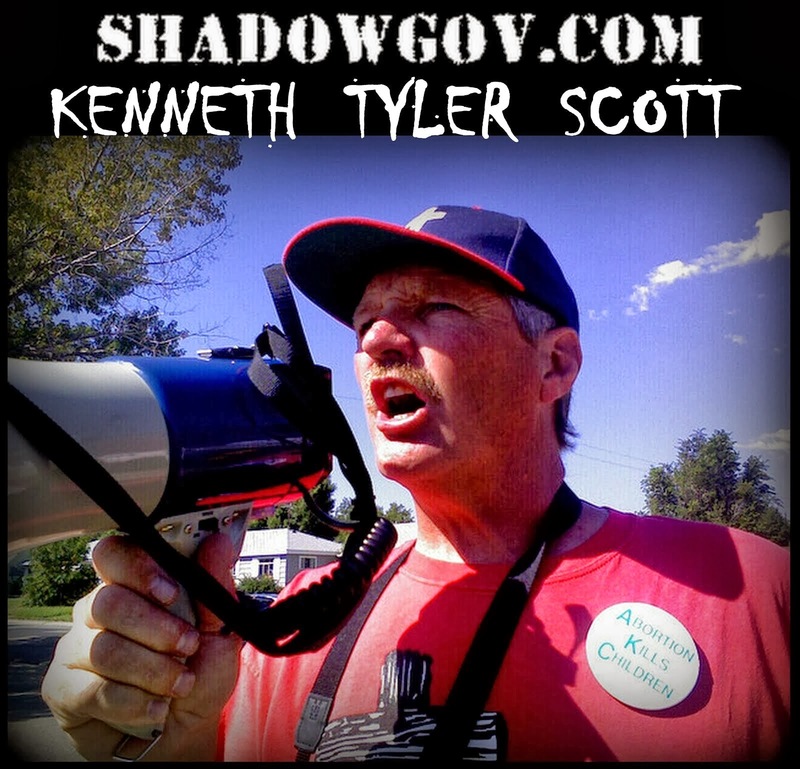 — MONDAY, AUGUST 31, 2015 at 3:00pm—Curtis Kekoa goes into the Northglenn Police station to file a complaint against the neighbor for harassment. 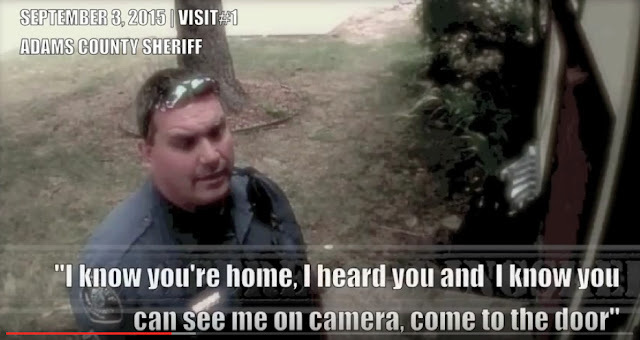 Officer J. Burke #445 was caught on camera demonstrating a complete lack of courtesy, professionalism and respect when Curtis Kekoa attempted to express concerns. 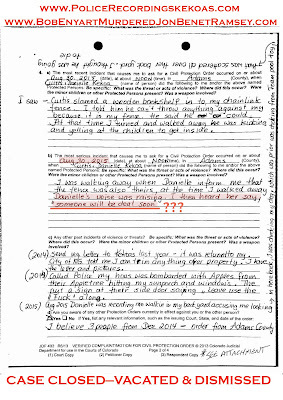 Burke refused the report because he conspired with Karin Mortensen the day before to have false protection orders placed against the Kekoas. 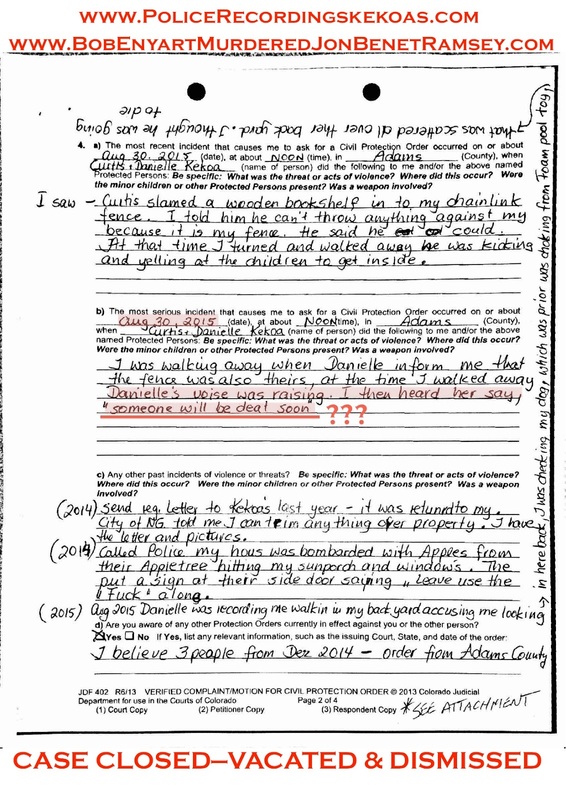 One hour later on Monday August 31st, Danielle Kekoa contacted Supervisor Stephanie Pelster and left a third voice message requesting a follow-up. 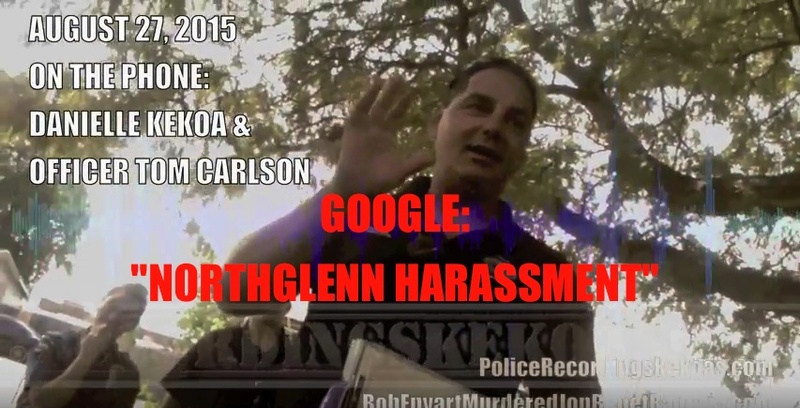 All attempts to file reports about the harassment with the Northglenn Police since 2011 have been mocked, ignored and dismissed as the Kekoa family continues to be falsely accused, targeted, victimized and threatened by those who are sworn to “Serve and Protect”—NOT TO SERVE FALSE PROTECTION ORDERS AGAINST INNOCENT PEOPLE! 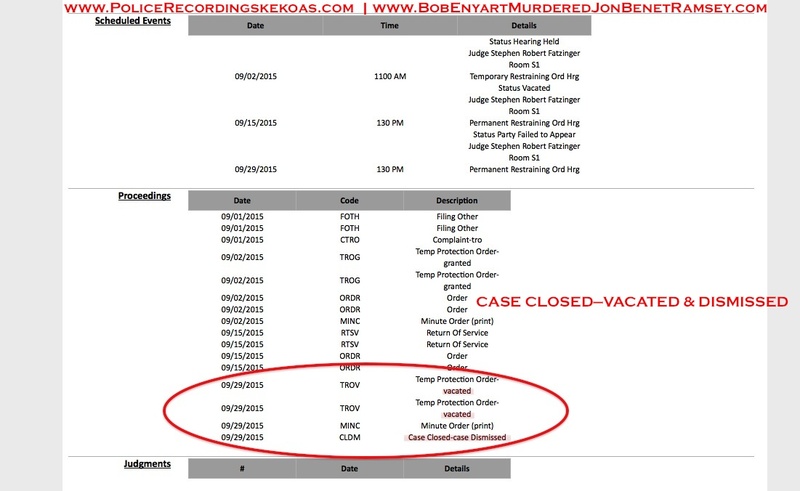 — TUESDAY, SEPTEMBER 29, 2015 at 1:30pm—Adams County COURT DATE for false protection order! 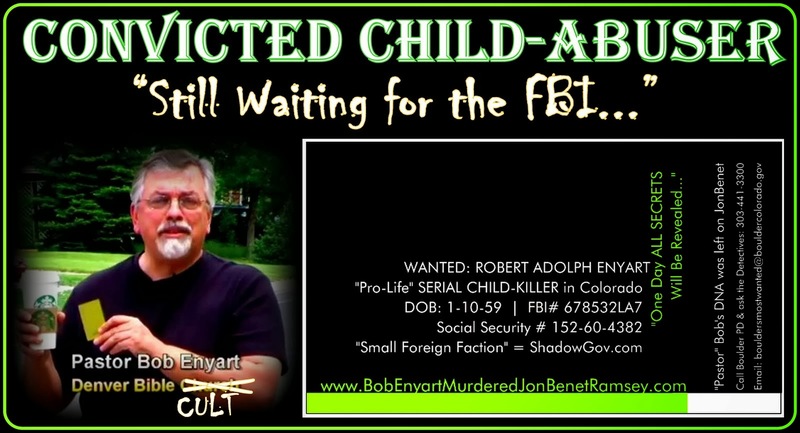 IF YOU IGNORE THE SHERIFF, HE WILL GO AWAY! AND ALWAYS RECORD THE COPS! 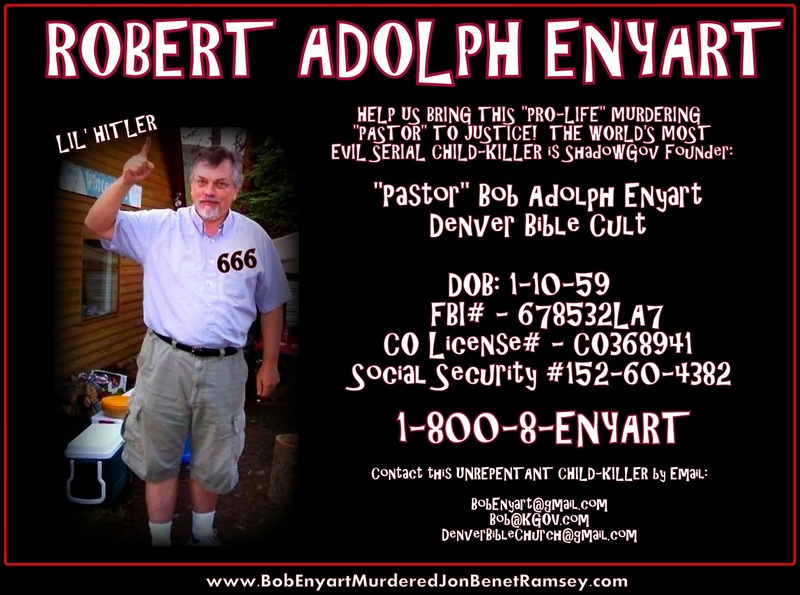 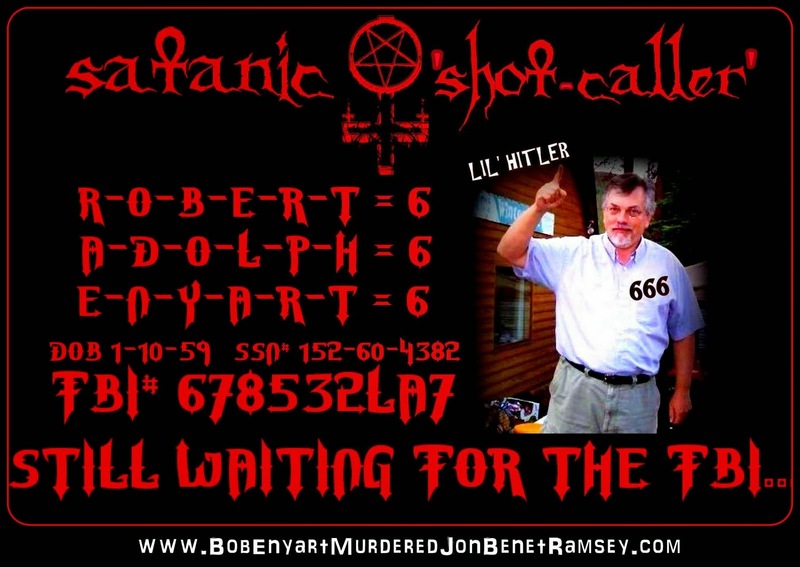 — THURSDAY, NOVEMBER 5, 2015—Denver FBI Special Agent Kimberly Milka contacts Danielle Kekoa to be an informant about Denver Bible Church—A group of domestic terrorists and satanic serial child-killers run by “pro-life pastor” Bob Enyart. 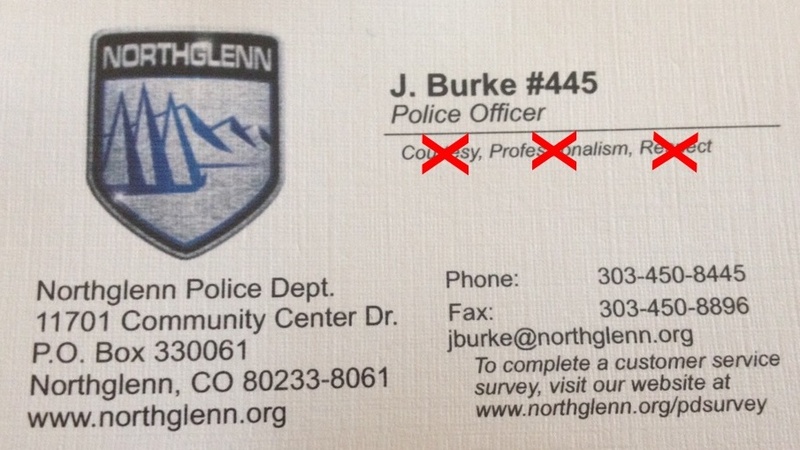 Police Officer J. Burke #445 Northglenn Police Dept.